She is an adorable 2 year old, 10 lb. 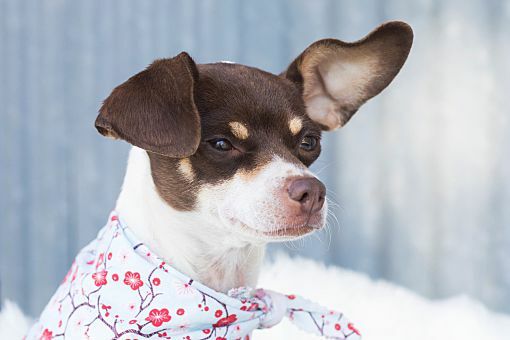 chocolate and white Rat Terrier blend with elegant long legs. Meet Lady Bug! She is an adorable 2 year old, 10 lb. 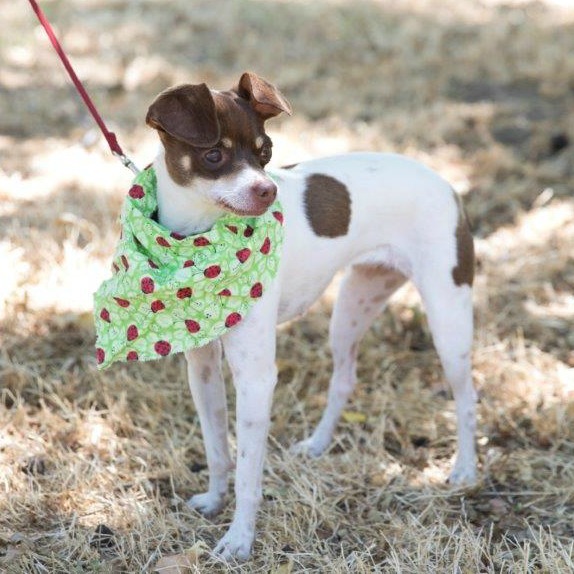 chocolate and white Rat Terrier blend with elegant long legs. 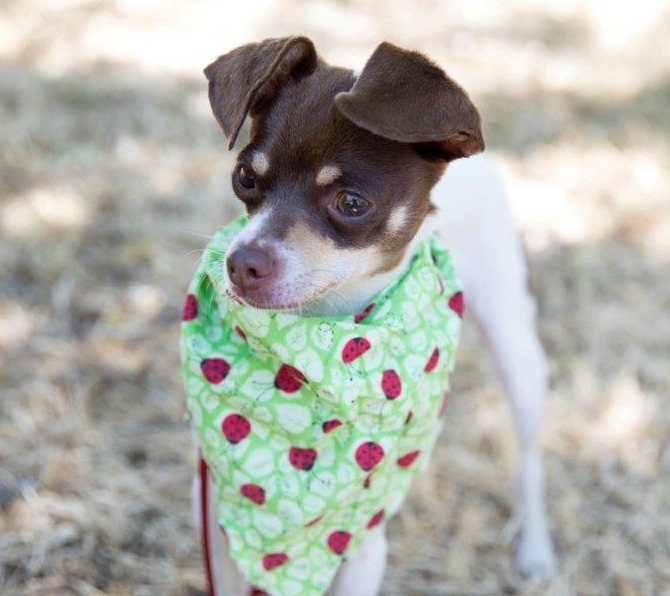 Lady Bug is a low/medium energy girl with a wonderful outgoing personality and a bit of that Terrier feisty attitude. She loves to go for walks or rides in the car. 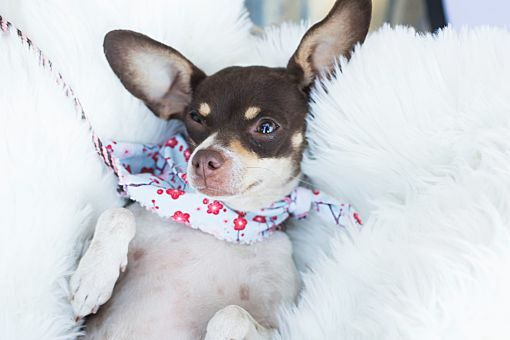 Lady Bug loves to snuggle, snuggle, snuggle, especially under the covers in her bed or yours. She would make a great office dog, RV or home companion. She enjoys playing with the tiny tennis ball. She gets along with other dogs her size but would also enjoy life as an ‘only child’. She is house-trained, good in the house and sleeps through the night. She is smart and learns quickly. Lady Bug has not been around small children. Lady Bug has a minor eye condition called ‘dry’ eye in one eye only which requires daily drops. She understands her ‘med’ time and readily takes her eye drop. The adopter must be willing and able to continue this treatment. She would love to have a home with a family or person she could call her own. Won’t you consider Lady Bug to be your next companion? Lady Bug is spayed, micro-chipped, and up to date on all shots. For more information go to www.3rrescue.org or phone 707-529-4643 or email: adopt@3rrescue.org.